Following the 2011 Digest which was published for our members by early December, we have now published the first issue of the online EXARC Journal. It contains 11 articles on archaeological open-air museums and experimental archaeology. The third category, mixed matters is open access and contains a total of 23 articles, some of which are conference reviews or book reviews, some other refer to people and events. We hope our readers are happy with the results and wish you happy reading. 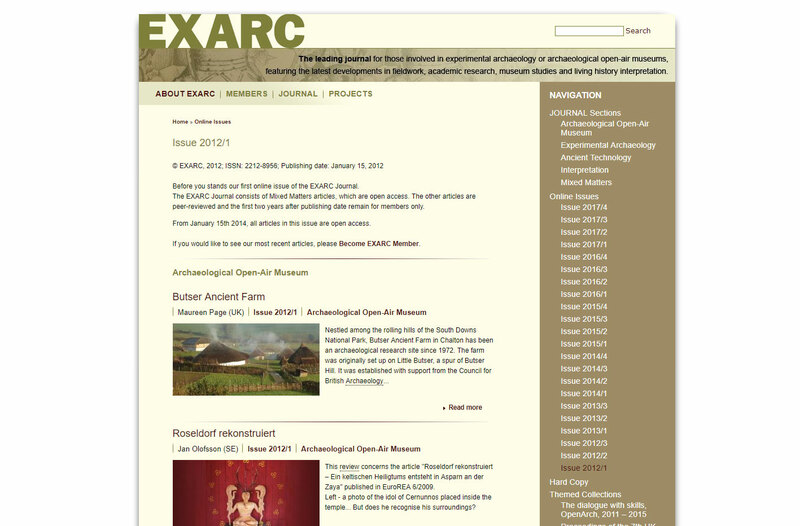 There will be two more online issues of our EXARC Journal this year. Please view our Issue 2012/1.